GA5000-2M plugs in line between your headset and panel. 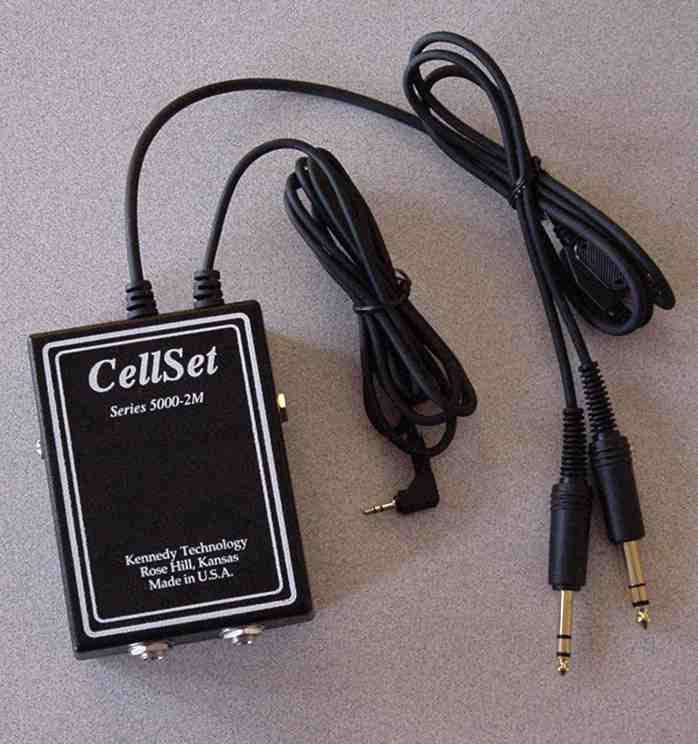 There are plugs and cord sets to connect it to your cellular telephone, auxiliary audio/music source (e.g. MP3 player) and the plane's cigarette lighter receptacle. GA5000-2M can also operate off its 9 Volt battery (standard type). In the absence of cell phone or auxiliary audio, GA5000-2M sleeps. In this state, it pulls only micro-amperes of current and can remain asleep for over 10,000 hours if running on it's 9 Volt battery. Once audio is detected from either the cell phone or the auxiliary audio source, GA5000-2M wakes up to amplify those sources and sends them to your headphones. Once those audio sources become silent, GA5000-2M goes back to sleep. GA5000-2M prioritizes audio: If you are listening to music, any incoming cell phone or panel audio will make GA5000-2M mute the auxiliary audio and give priority to those sources. Panel audio will not mute cell phone audio nor will cell phone audio mute panel audio. In the case of a panel failure, GA5000-2M will bias your headset microphone and allow you to make and receive phone calls. 2.5mm Universal - For phones with a universal, 2.5 mm diameter, three conductor headset jack. Please specify your phone make and model so that the proper configuration and/or adapter is added to the order. Cost: From $319.95 (depending on configuration) plus shipping. 30 day money-back guarantee! Not compatible with Bose Headsets when Bose control box set to "MONO"